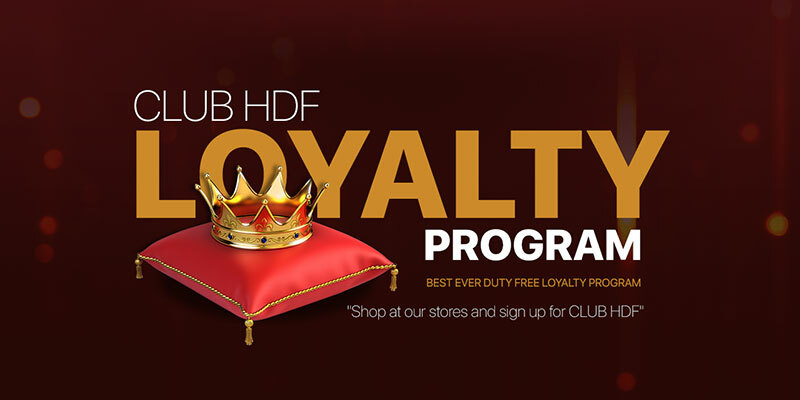 CLUB HDF is a unique, multi-tiered Loyalty program by Hyderabad Duty Free. One can enroll for the program while shopping at Hyderabad Duty Free outlets at Hyderabad International Airport or even at our website www.hyderabaddutyfree.com. CLUB HDF offers exclusive benefits and privileges for our loyal customers. As a member, each purchase automatically lets members earn points which can be redeemed as dollars for any future purchases. 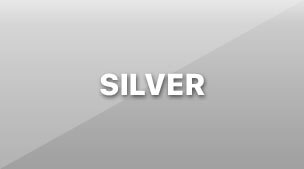 Criteria to Become a Gold Member:Purchase of over ₹65,000 in a calendar Year (Jan-Dec) by a Silver Member. Criteria to Become a Platinum Member: Purchase of over ₹1,30,000 in a Calendar Year (Jan-Dec) by a Gold Member. Point’s accrual from first purchase onwards. No minimum purchase value for point’s accrual. Accrued points are non-transferable and can be redeemed only against purchases at Hyderabad Duty Free outlets at Hyderabad International Airport. Eligible Privilege points to be credited to members account in the 1st week of every quarter, i.e. 1st week of Jan/April/July/October. Purchases made by Loyalty card holders’ family members & friends can also be accrued as points by mentioning the mobile number and confirming the member name by the purchaser. Purchases made by family and friends eligible for accruing base points only and not privilege points. Reward points will be calculated on the net purchase value. Accrued Points can be redeemed next purchase onwards on Arrival/Departure store. Accrued points can be redeemed only against purchases made at Hyderabad Duty Free. Cash refund will not be given against point redemption under any circumstances. Accrued points shall be valid for a period of 18 months from the date of accrual & shall automatically lapse thereafter. Points can only be redeemed by the member on producing their registered passports in original. In case of renewed passport, old passport number should match with Hyderabad Duty Free CLUB HDF Loyalty database records. For any redemption the minimum purchase value is ₹1000. Redemptions can be done for 100 points = ₹65. This is subject to change from time to time. Please check with cashier for the same at the time of billing. Tier review/upgrades will be done on 1st Jan every year considering the qualifying criteria over the preceding 12 months. The tier upgrade bonus points will accordingly accrue on 1st Jan of every year. For tier upgrade and accrual of associated bonus points, only purchase transactions made by registered members would be considered (i.e. transaction made by the family and friends will not be considered). By signing the enrolment form/invoice copy, members would provide consent to have read & accepted the terms and Conditions that govern the loyalty program. Hyderabad Duty Free’s decision is final on all disputes related to the terms & conditions and offers. All disputes are subject to jurisdiction in Hyderabad courts only. Hyderabad Duty Free may suspend or terminate the loyalty program at any time without prior notice whatsoever. Hyderabad Duty Free reserves the right to add, alter, amend and revise terms and conditions including redemption value as well as rules & regulations governing the Club HDF membership without prior notice. Benefits and offers available through the Program partners may change or can be withdrawn without prior intimation. Hyderabad Duty Free shall not be responsible for any liability arising out of such situations. Hyderabad Duty Free will also not be held responsible for any liability arising from use of such situations. The membership can be revoked or refused if a member is involved in any act of fraud, shoplifting, cheating with or without cause and without notice. By becoming a loyalty member, the customer authorises us to communicate, from time to time via SMS, Email, Telephone, etc. on contact details provided by the member. The points awarded on the loyalty program may vary and may exclude certain range/brand of products or certain period of time. The loyalty program is for individual international passengers only. It is not a corporate/ group membership program. In case of change of mobile/ passport number, the member has to intimate Hyderabad Duty Free by sending an email to our customer service or email us at (clubhdf.loyalty@gmrgroup.in) at least 10 days prior to the travel date along with required supporting documents for updation of member’s records. Employees of Hyderabad Duty Free and their immediate family member (spouse & children) are not eligible for this program. 1. What is the Loyalty Program at Hyderabad Duty Free? The Loyalty Program at Hyderabad Duty Free is multi-tiered loyalty program that offers special access, benefits and privileges to its members. The program offers members with a range of benefits, including access to offers and discounts prior on products and services. 2. The Loyalty Program is for whom? The Loyalty program is for Individual International passengers only. It is not a Corporate/Group membership Program. 3. What privileges will I receive after joining the Loyalty Club at Hyderabad Duty Free? You will be able to enjoy exclusive member benefits and experiences, the latest HDF news, promotions and product Offers. The higher your tier, the more benefits and exclusive rewards you will enjoy. Privilege points on Purchases over ₹6500. The privilege points will be credited to loyalty member account in the 1st Week of every Quarter i.e. 1st Week of January/April/July/October. Simply Register at Hyderabad Duty Free on Arrival/ Departure stores at Rajiv Gandhi International Airport, Hyderabad on any purchase by just providing your Mobile Number prefixed with the country code which will be the unique membership number. For activating your membership, email-id and signature is must with the 1st purchase. 5. What are “Points” and how do I EARN them? Points are the extra benefits which the customer enjoys and it is calculated on the net purchase value and you can start earning points right from your purchase and there is no minimum value of purchase required for points accrual. 6. Who can EARN Points on my behalf? Purchases made by Loyalty members Family and Friends can also be earned as points against a Loyalty member by mentioning the MOBILE NUMBER which was registered as against that Loyalty member and also confirming the members NAME. 7. Where CLUB HDF membership is used? Your Membership can be used only at Hyderabad Duty Free on Arrival/ Departure Stores at Rajiv Gandhi International Airport only. 8.How do I Redeem the Points? Accrued Points can be redeemed at next Purchase on either Arrival/Departure Store at Rajiv Gandhi International Airport only. The points can be redeemed only against purchase of goods at Hyderabad Duty Free. No Cash Refund against Point Redemptions under any Circumstances. For redemption, the minimum purchase value must be ₹1000. The value for Redemption is 100 points =₹65. This is subject to change from time to time. Please check with cashier for the same at the time of billing. 9. Who can redeem the points? The points can only be redeemed by the member on producing his/her registered Passport in Original. 10. What is the Validity of the Points Earned? Accrued Points shall be valid for a Period of 18 Months from date of accrual and shall automatically lapse thereafter. Once the accrued points are lapsed they cannot be reinstated. 11. What if there is any change in my Personal Information? In case of change of Mobile/Passport Number, the Member has to send an Email to our Loyalty Club ID clubhdf.loyalty@gmrgroup.in at least 10 days prior to the travel date along with supporting documents [Self-attested scan copy of Passport] for updating. 12. What is Tier Upgrade? Tier Upgrade will be done on 1st January every Year while considering the qualifying Criteria over the preceding 12 months. For Tier Upgrade and accrual of associated bonus points, only purchase transactions made by the Individual Loyalty Member i.e. transactions made by family and friends will not be considered. 13. 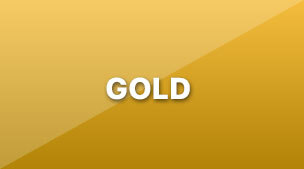 What are the criteria and Benefits for becoming a Gold Member? For becoming Gold members from the silver member, a customer has to make a total purchase of over ₹65,000 in a calendar year (Jan-Dec). Gold member enjoys the benefits of bonus points on Tier upgrade, access to International and Domestic Premium Plaza Lounge at RGIA 3 times in a year. 14. 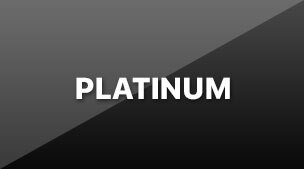 What are the criteria and Benefits for becoming a Platinum Member? For upgrading your tier from Gold member to platinum member, the member has to make a purchase of ₹1,30,000 and above in a calendar year (Jan-Dec). The privilege and benefits he/she gets and enjoys are bonus points on tier upgrade Access to International & Domestic Premium Plaza lounges at RGIA 6 Times in a Year. 15. Are the Points Exchanged in Cash? The points cannot be exchanged for Cash in Part or full and the Accrued Points are Non-Transferable. 16. What are the Terms and Conditions of Club HDF – Loyalty Program? 17.How can I find answers to other questions?